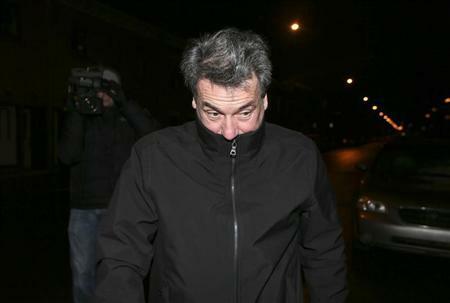 The former chief executive of SNC-Lavalin Group Inc (SNC.TO), a Canadian construction and engineering company caught in a far-reaching misconduct scandal, faces six new fraud-related charges, police said on Wednesday after issuing a warrant for his arrest. The province of Quebec’s anti-corruption police unit alleges that ex-CEO Pierre Duhaime, who resigned from the Montreal-based company last year, committed fraud and other criminal offenses. In a statement, the unit provided no details about the charges, but the Globe and Mail newspaper reported they were connected to a contract awarded to SNC in 2010 for the construction of a Montreal hospital. An arrest warrant was also issued on Wednesday for Riadh Ben Aissa, SNC’s former head of construction, for similar corruption charges, as well as for three other men. The allegations are the latest development in a widening scandal at SNC that stretches from Montreal to Tripoli and led to prior arrests of both Duhaime and Ben Aissa. “In the cases of Pierre Duhaime and Riadh Ben Aissa, these are new criminal accusations which have been authorized by the bureau for the fight against corruption and embezzlement,” said the anti-corruption unit in a statement. In early 2012, an internal investigation by SNC found that $56 million in funds had gone missing, paid to unknown agents on projects that did not exist. Duhaime quit in March after it came to light that he signed off on the mystery payments. He was then arrested in November on three fraud charges and later released. Ben Aissa was arrested in Switzerland last April on charges of money laundering and corruption and in an affidavit released last month, Canadian police alleged that he had paid bribes to a son of deposed Libyan leader Muammar Gaddafi in exchange for help in obtaining major contracts for the company’s international arm. He remains in custody in Switzerland. Duhaime’s lawyer Michel Massicotte told Reuters on Wednesday that his client had not yet been arrested and that he would plead “not guilty” to the new set of charges, which he said would replace previous ones. “He’s in the province of Quebec and obviously he will face the charges there. There’s no problem about that,” Massicotte said. Lawyers representing Ben Aissa were not immediately available for comment. SNC said it was aware of the warrants for its former executives and that it would continue to cooperate fully with authorities. “We have voluntarily turned over information that we have to local and other authorities for them to take any actions that they may consider appropriate,” spokeswoman Lilly Nguyen said in an email. The 102-year-old company has installed a new CEO and several new executives while tightening its ethics policies. Last week, it hired a former Siemens AG compliance officer to help guide it through the scandal. Siemens paid $1.6 billion to U.S. and European authorities in 2008 to resolve allegations it paid bribes around the world. Investors appeared to shrug off the news, though modest gains were erased by session-end on Wednesday, as the stock closed down 4 Canadian cents at C$47.13 on the Toronto Stock Exchange. “Right now there is, incrementally speaking, nothing new at all, so that’s why the market just doesn’t care,” said Maxim Sytchev, analyst at AltaCorp Capital. Also named in Wednesday’s arrest warrant was Arthur Porter, the former head of the McGill University Health Centre, which runs a network of health facilities. The Globe and Mail newspaper reported Porter was the chief negotiator on the C$1.3 billion ($1.3 billion) contract awarded to SNC in 2010. Porter’s alleged involvement in corruption has ruffled feathers in political circles because Prime Minister Stephen Harper had appointed Porter in 2008 to a committee which oversees the government’s spy agency, where he served until 2011.